This fun meal is great to bring together family or friends to prepare dinner. To change up the flavour of the turkey you can use your favourite chip flavour. Kettle chips offer up a great crunch that is a perfect combination with the waffles and a big spoonful of cranberry sauce. Place potatoes in boiling water for 10 minutes. Drain and let cool enough to handle. Using a cheese grater, grate potatoes; set aside. Cut turkey breast into 4 lengthwise pieces. Sprinkle turkey with 1/4 tsp (1 mL) of the salt. In a shallow bowl, toss flour with 1/4 tsp (1 mL) of the salt, mustard and pepper. Combine chips and sage in another bowl. Dip turkey pieces into flour to coat well. Dip into egg and then coat with potato chip mixture. Place onto parchment paper lined baking sheet. Bake in 400 F (200 C) oven for about 15 minutes, turning once until golden brown and no longer pink inside. Meanwhile, toss potatoes with cheese, butter and remaining salt. Place about 1/2 cup (125 mL) of the potato mixture onto preheated waffle iron; close lid and cook until golden brown and crispy. (Time and amount will vary depending on waffle iron used) Repeat with remaining ingredients. 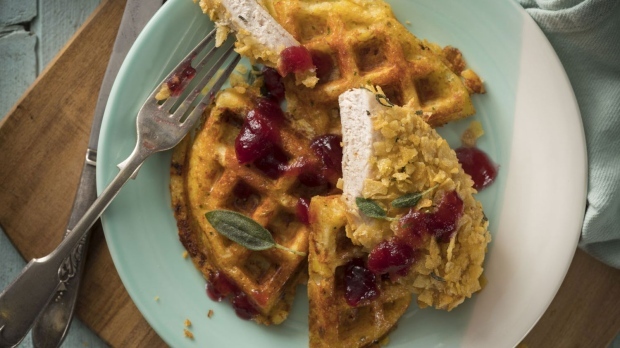 Place turkey on potato waffles and top with cranberry sauce to serve. Tip: You can boil and grate the potatoes up to 1 day ahead. You should get about 8 waffles for this recipe (this will vary depending on waffle iron size used). You will need about 4 cups (1 L) of chips to get 1 cup (250 mL) crushed. Experiment in your own kitchen and try a variety of chips and chip flavours! You might find you have a few favourites. 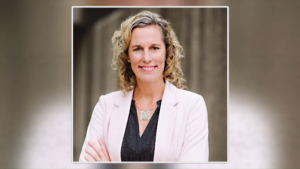 The community is in mourning after a known champion of students died suddenly, struck by a car while walking on a sidewalk in Waterloo.